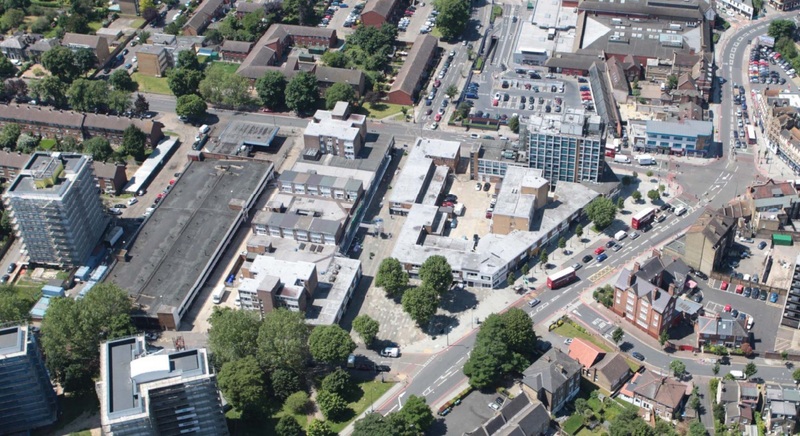 Altered plans have been submitted for a large-scale redevelopment of Lee Green comprising 393 homes, a new food store, pub, other retail units and gym. Initially approved in 2015, the scheme was for the demolition of post-war Lee Gate Shopping Centre. Plans included a large Asda supermarket who subsequently pulled out of the deal. Their proposed merger with Sainsbury’s could have been a factor. The previous plan had the supermarket with greenery on top of the store box and homes surrounding the site. Now the scheme is back with a significantly smaller food store. Parking spaces are reduced from 245 to 171. Removal of the supermarket box results in a larger plublic square yet smaller area of greenery. Window size appears reduced, as has paving space along the street compared to earlier approved plans. St Modwen are the developers. They are also behind Spray Street plans in Woolwich. Brick is the dominant material. Here’s your average Lee Green scene of a Jaguar E Type passing through. The planning reference is DC/18/107468. Click here to search and view plans. Ha, ha. Maybe the Jag driver has come down from Blackheath Village. Another soulless, monumental slab design. However, it’s better than what’s there now. Looks great! Much better than what’s there and far from very tall. I notice some locals moaning but it’s 5-10 floors which is fine in a town centre that already has Tower blocks behind the site. Genuine a pity if the old shop area gets demolished. Might ‘look grim’, which I do not find that myself. Lovely old school, friendly area and social. I do not live here myself but have been coming by when in the area and enjoyed my time. Perhaps they could demolish the block towards the busy road, and keep the Iceland/Wetherspoon side as it is. Charming and a vital passage to have local social control. Opposite the Old Tigers Head, that building seems to be a prime to build something new and open the space up. The precinct is now rather a sad affair, but I remember when there was an Iceland and my drycleaners relocated there from Loampit Vale when the regeneration became a reality. 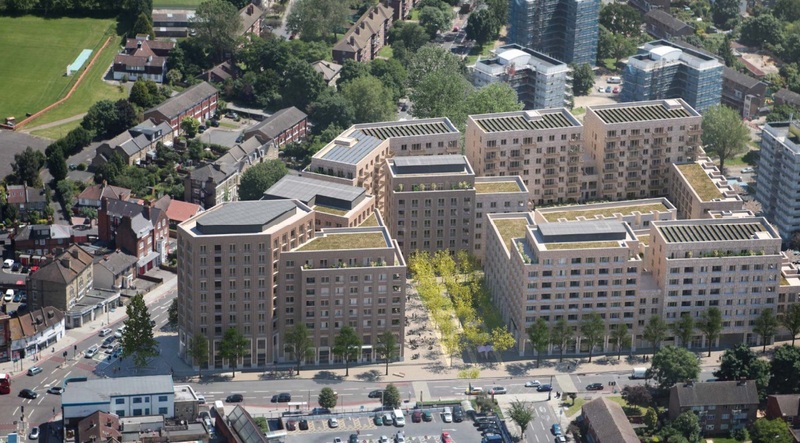 Having said that the redevelopment is soulless, it will improve Lee Green. 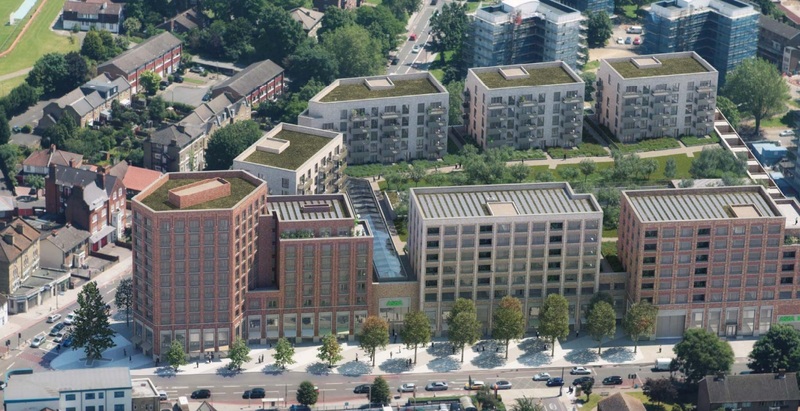 I think this development will improve Lee Green as mixed retail/housing developments work well. Sadly the area does look a little drab. I would also like to see the old Tigers Head building opposite the Leegate Shopping Centre redeveloped. It has been left empty and neglected for many years now. I’ve lived in Lee for the last 5 years and can’t wait for Leegate to get leveled. I actually like this proposal. 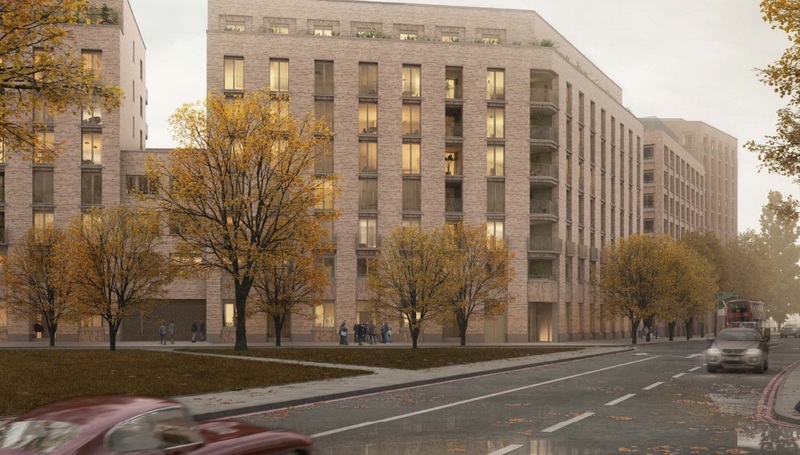 Seeing as the main objection to the last approved plan was the massive Asda and lack of a public space at street level, this new application will surely sail through Lewisham’s planning offices. On a personal note, I’m looking forward to the hand car wash and the Iceland getting binned off. Equally, as per comments above, it would be great if something could happen with the Tiger’s Head, but I fear there isn’t yet the customer base to support two pubs right on the cross roads. Once hundreds of people are living here I expect that may well change though.